Not Your Mom's Mashed Potatoes - Home. Made. Interest. 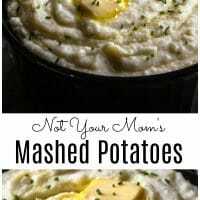 These are Not Your Mom’s Mashed Potatoes! This is a rich and creamy mashed potatoes recipe that is the BEST mashed potatoes you’ll ever make! Thank you Pier 1 for sponsoring this post. All content and opinions expressed here are my own. Over the years I’ve perfected my creamy mashed potatoes recipe and at this point I feel it’s safe to say I have the BEST mashed potatoes recipe around! These are Not Your Mom’s Mashed Potatoes and I’m gonna let you in on the secret, it’s all about the cream cheese and butter. Yep, I said cream cheese…and lots of butter. The way I see it if you’re eating mashed potatoes you probably aren’t counting calories so go for it! Like this recipe? Pin it to your Recipe board! 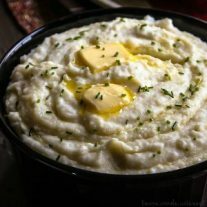 For the last few years I’ve been making this awesome mashed potatoes recipe the day before Thanksgiving (and Christmas!) and putting them in the refrigerator overnight. The next day I put them in a slow cooker and set it to warm and let them heat up slowly until it’s time for dinner. Putting these creamy mashed potatoes in the slow cooker means I have time to do my second favorite thing (after eating) on Thanksgiving. I get to slip off to the dining room and set a beautiful Thanksgiving table. 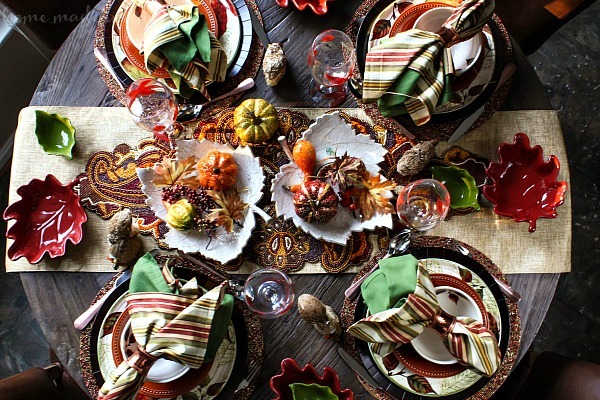 I love all of the gorgeous autumn colors and this year I found some great deals on some of the of the prettiest pieces for a place setting at Pier 1. Just look at that table! It makes you want to sit down and spend time with friends and family, right? I’m not even sure what my favorite part is so I’m just going to give you guys a run down of everything I used on my Thanksgiving table. Of course that beautiful table only lasts until the food is ready. We do Thanksgiving dinner in my house around 2 o’clock so all of the pretty decorations get moved and out comes the food. We always have broccoli casserole, sweet potatoes, stuffing, and of course the BEST creamy mashed potatoes! They are perfectly creamy and hot as they are scooped out of the slow cooker and into a big serving bowl. I add a few pats of butter on top and dinner is served! Add the butter and cream cheese as soon as the potatoes are drained and back in the pot so they melt smoothly. If you’re cooking for the holidays make your mashed potatoes in the morning and then put them in a slow cooker set to warm and keep them warm all day long. These mashed potatoes are rich and creamy and made with a secret ingredient that is going to make your next dinner extra special! Wash and peel the potatoes then cut them into 1-2 inch pieces. Put the potatoes in a large pot and fill the pot with enough water to cover the potatoes. Cover and place the pot on the stove over high heat. Bring the potatoes to a boil and let them cook for 10-15 minutes or until the easily break apart with a fork. Drain the water from the potatoes and then place them back in the pot. Add the butter and cream cheese and use a potato masher or a hand mixer to begin mashing the potatoes. Slowly add the milk a little at a time until you reach the consistency you want. Add the salt a teaspoon at a time until you reached your desired level of saltiness. 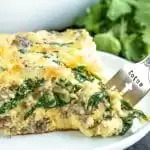 Note: You can make these a day ahead and then on the morning of your dinner place them in a slow cooker with a little milk and stir them around. Turn the slow cooker to low and let them heat up, stirring every 30 minutes until they are warmed through, then turning down to warm and leaving them until you are ready to eat. If they begin to dry out just add more milk but go slow so you don't lose the consistency you want. My former MIL, an excellent Southern cook, made her mashed potatoes with sour cream and cream cheese, as well as LOTS of butter, and they were simply amazing!! They almost stole the show at any meal she brought them to, which was a great many, and there were never any leftovers because the five of us could and did polish them off happily. She made fabulous meatloaf, too, and when she put the two on the table for the same meal, my FIL would beam from ear to ear, that being his favorite meal of all time, along with corn and green beans (my favorite meal, too 🙂 ). They’re both long gone, but Gladys’s mashed potatoes recipe is still my favorite, and I use it to this day. Mashed potatoes are just one of those dishes where you can’t cut back on the butter! 🙂 So glad this brought back memories for you! Joyce, I love your response. I too was lucky enough to have a wonderful Southern cook for a mom. Giving a recipe a title with “Not your Mom’s” in the description is pretty insulting to all those great women who were so talented in the kitchen. My mother passed away a few years ago and I would love to be able to sit in her kitchen again and would be honored to have my cooking compared to hers. Susan, I stood in the kitchen making these mashed potatoes with my amazing southern mother standing right next to me. She loves the recipe and the title and is proud to say that the student has surpassed the master. If anyone finds offense with the name of the recipe I think they are looking for an insult where there isn’t one. Not sure what either of those women are talking about. This a great recipe and the title is just that, a title. Wonderful job! Hey there, I also use sour cream, whipped cream cheese, butter, and some half and half. 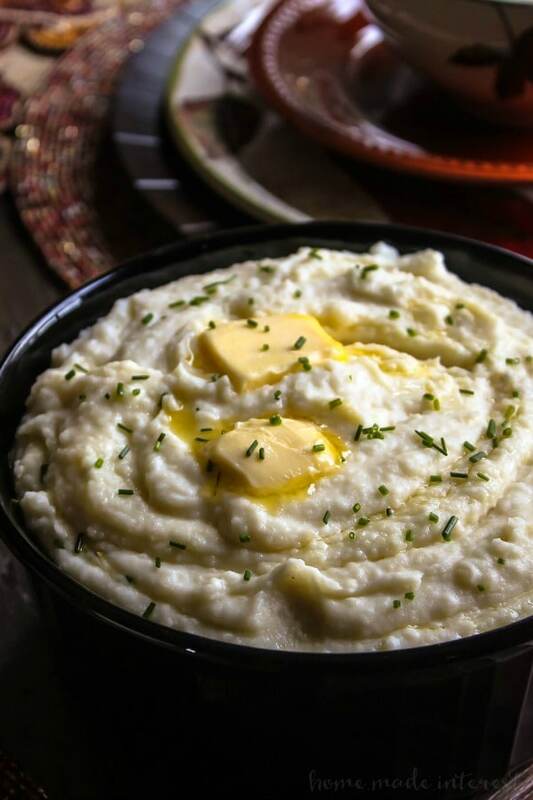 These mashed potatoes are always a big hit during family gatherings. The only drawback is no one else wants to make them and I always end up having to do it.